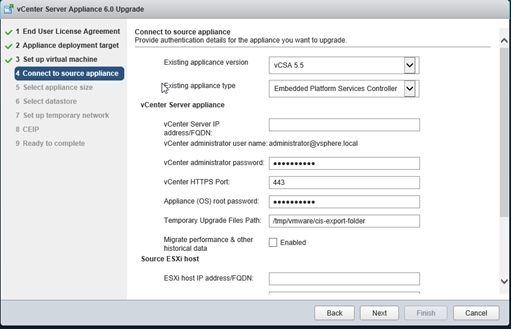 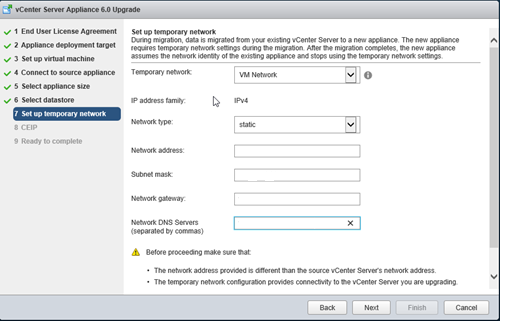 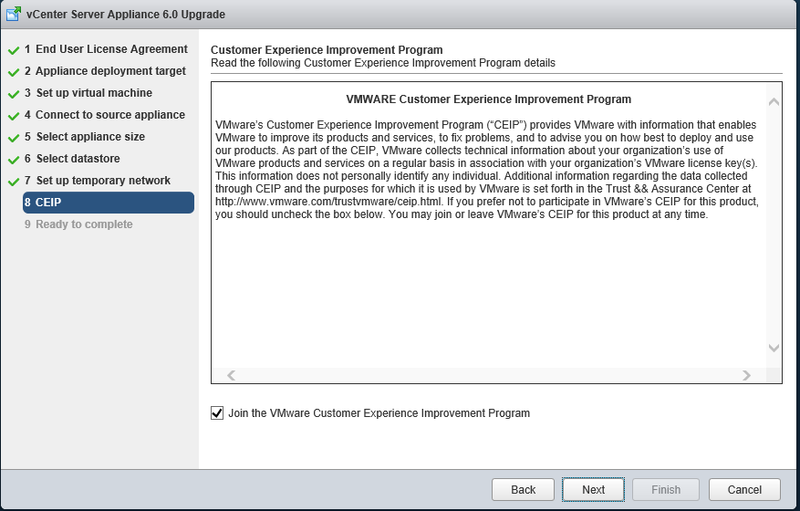 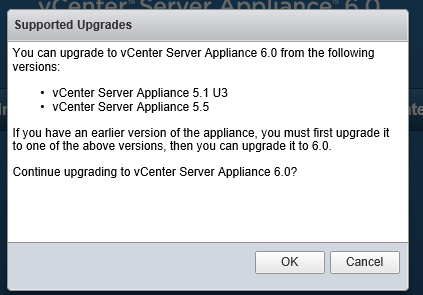 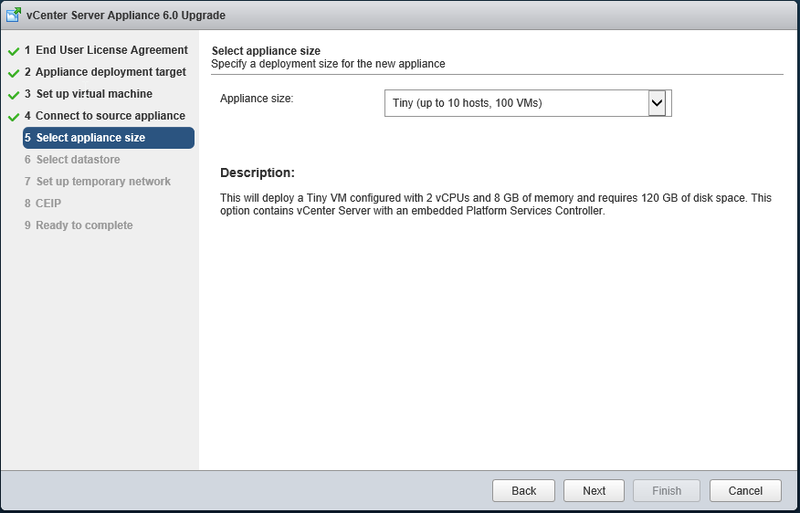 June 8, 2018 by admin 0 comments on "VCSA 5.5 to VCSA 6.0 Upgrade (migration)"
This is a quick run through on an upgrade or moreso a migration from a VCSA 5.5 appliance with embedded platform services controller to a VCSA 6.0. 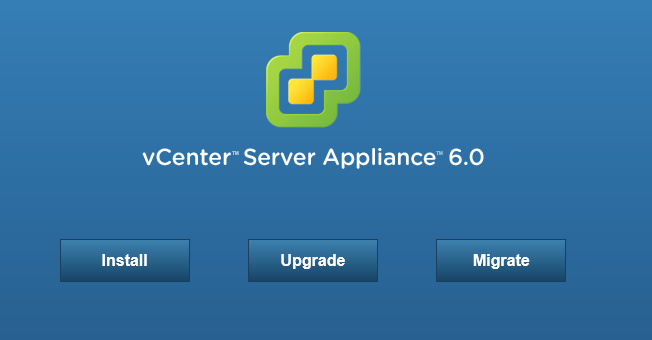 Ensure your appliance is health, browse to your appliance ip:5480 to check all is green. 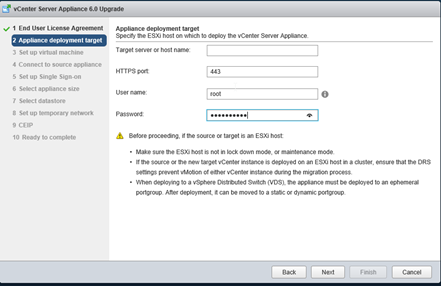 Ensure you know where you are placing the new appliance and you have sufficient disk space. 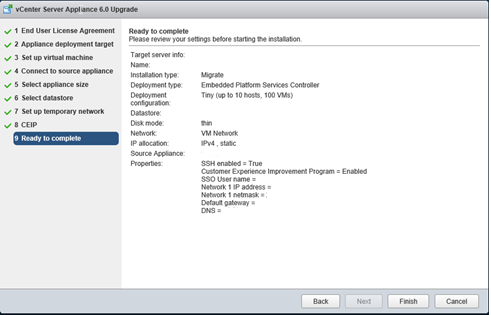 Check DNS is working and NTP is in sync and operating. 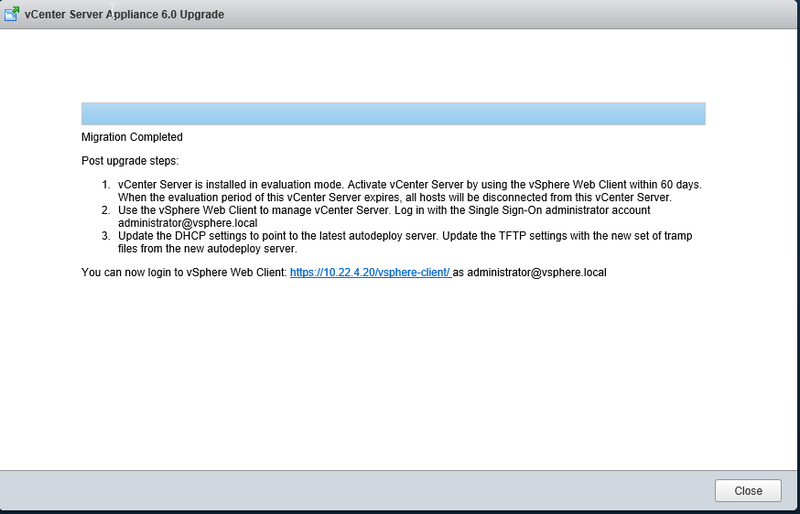 Have your temporary IP address ready. 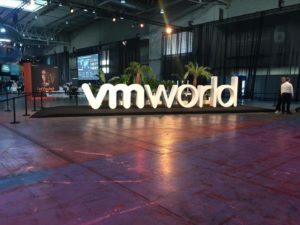 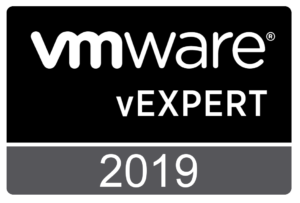 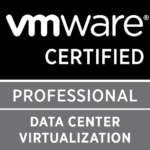 VMware Documentation can be found here. 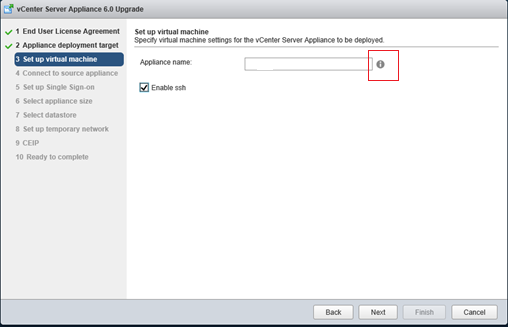 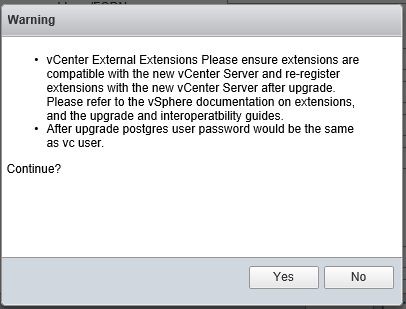 Download appliance and mount if on your laptop/desktop that has access to the vCenter. 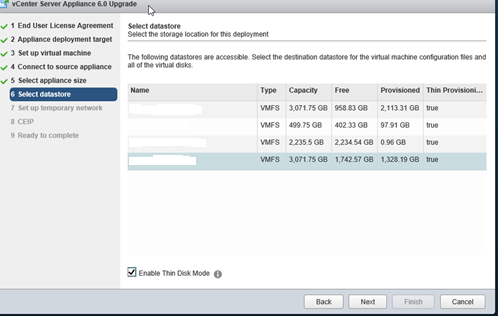 Choose the relevant deployment size, in my case its a Tiny deployment. 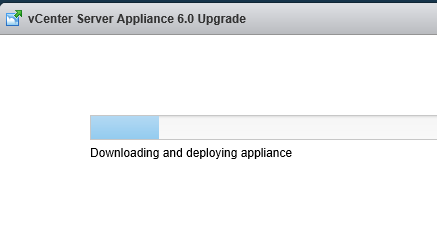 Click close, and then go have a cup of tea for 10/15 minutes and let all the appliance services startup fully and don’t sit there and try to get to the webclient as it might not just be fully initialized and you may start getting worried something has gone wrong. 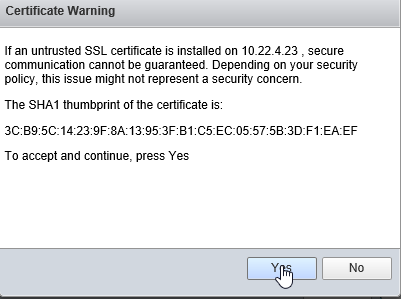 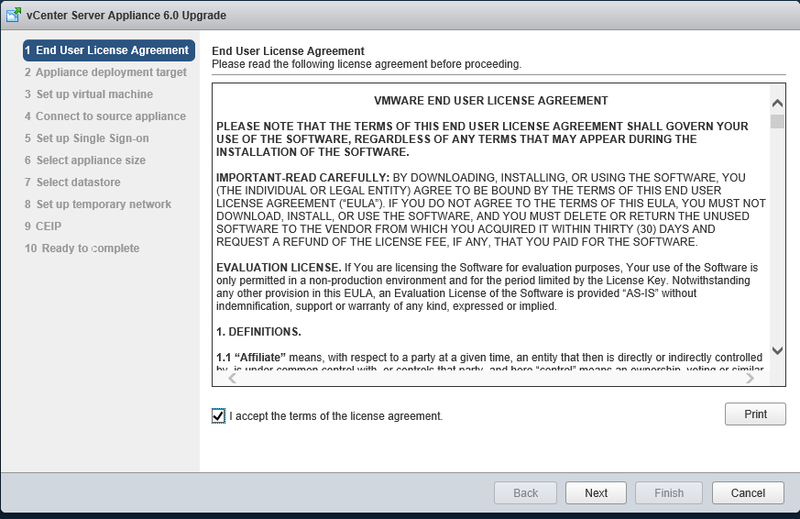 Previous Previous post: vCloud Director 8.20 – Changing to a Wildcard Certificate.